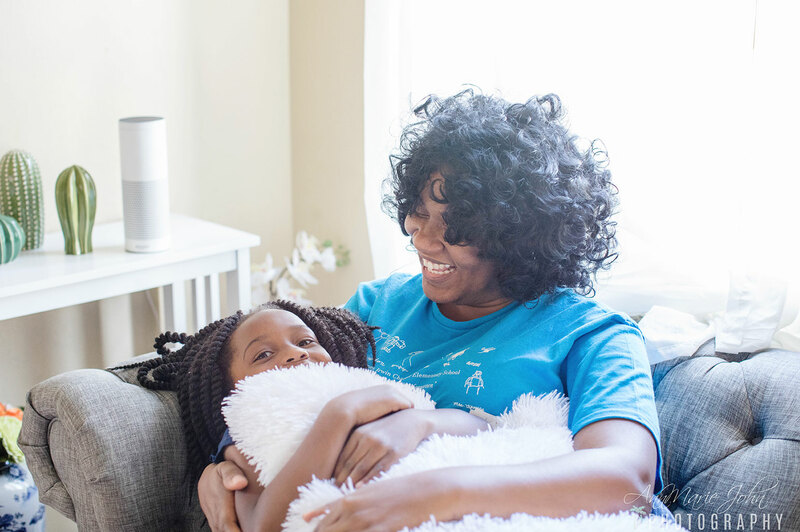 Read on to learn how we're utilizing the Alexa Skill Blueprints as a family. 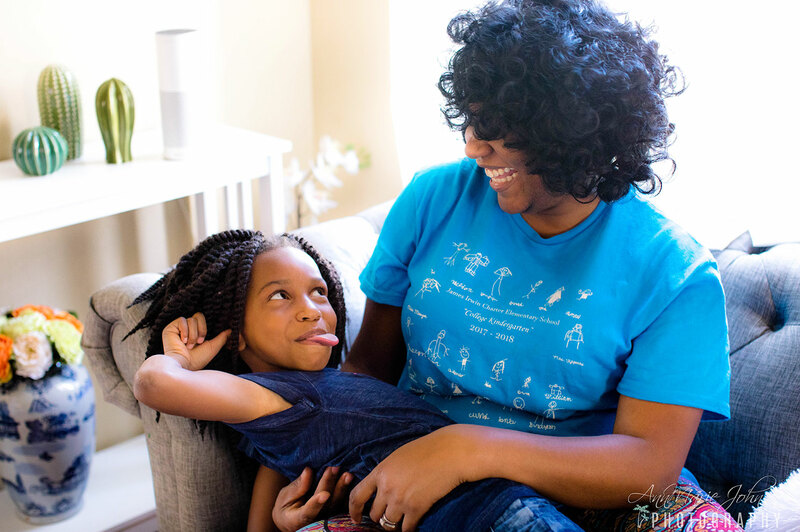 As a family of early adopters of the Amazon Echo, it's been quite an experience. 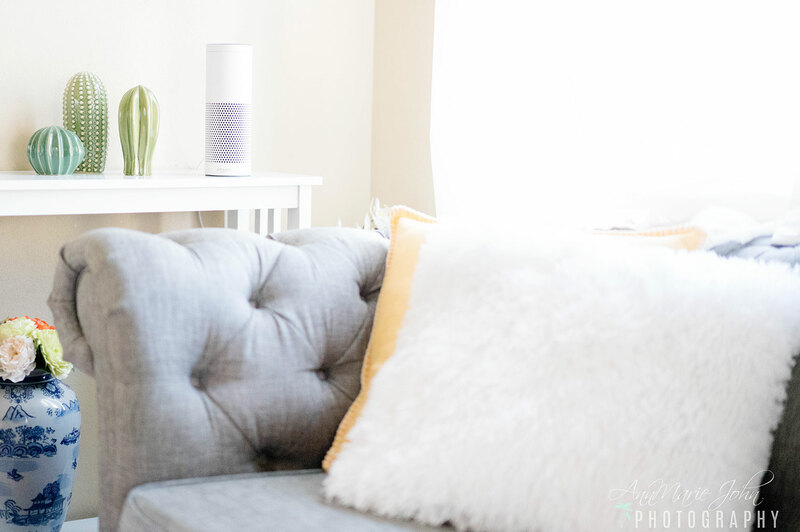 I remember the first time I saw the Amazon Echo and it was love at first sight. While I'm not a technology fanatic, after all, I don't need the latest tech as soon as it is released. The Amazon Echo was, however, one of such things that I just had to have. As I mentioned, we are early adopters of the Amazon Echo and currently, there's an Amazon Echo in almost every room in our home. When Amazon introduced the Alexa Skills, I was overjoyed. 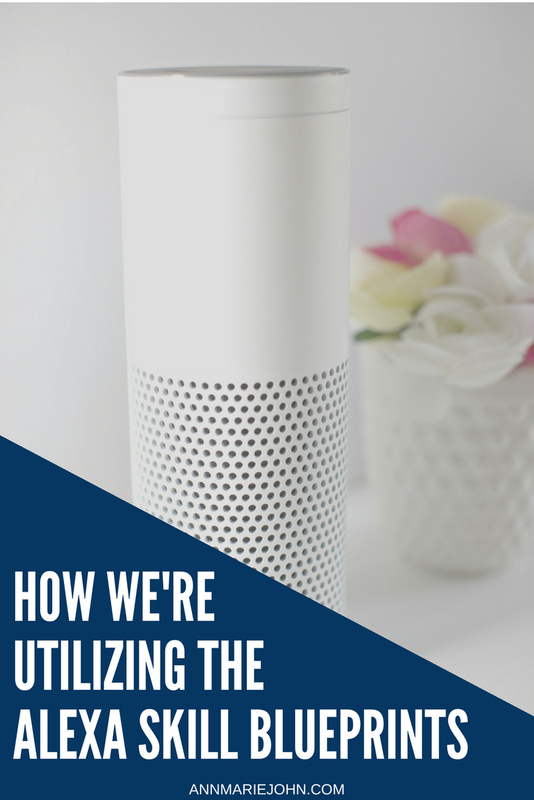 While my Amazon Echo was mostly being used for reminding me of my grocery lists, check the weather and traffic etc., however, now I could now enable skills to listen to my favorite radio stations, to control home devices and so much more. But wait!! Amazon has now introduced the Alexa Skill Blueprints, or as I call it, the Blueprints Skill. Think of it as being an architect and designing your own home precisely the way you want it. You lay out your blueprint, designing each room specifically as you see fit. That's exactly what this does. You create skills exclusively the way you want, personalized for you and your family. Creating your own Alexa Skill Blueprints couldn't be easier and unlike your other skills which you can do via your Alexa app, this one has its own portal which you can navigate via your desktop or mobile device using your Amazon login information. What's great about creating your Skill Blueprints is that there is no coding required at all, and it can be done in minutes, and there is no limit to the skills you create. We are a family that loves family game night, but it entails bringing out the board games, setting up and then putting it all away when the game or games are over. So far I've made a few of my own Blueprints including a 'Trivia' and 'Quiz' for the family, and 'My Fairy Tale' and 'Adventure Story' skills that I created exclusively for Madison. Both the Trivia and Quiz are PERFECT for game night. With Trivia, my family gets to answer multiple choice questions and the first to 5 wins. Quiz is very similar but we can also challenge each other. It's hilarious to hear some of the answers, and you also get a working knowledge of what your kids actually know. Adventure Story is one I created out of necessity. Madison loves storytime, but I don't always have the time to read one to her. Creating the Adventure Story Skill Blueprint enables her to be in the story. It's truly interactive and comes complete with sound effects and she has a blast with it. Birthday Trivia: I've already created this twice, once for my son Mikael and another for Madison which I plan on using on their birthdays. It's a great way to bring a little life to their parties by asking their friends questions about them, such as "Who is Madison's favorite princess? ", or "What does Mikael want to be when he grows up?". It'll not only give their friends a bit more insight into their lives but also show who knows him more as well. Chore Chart: Do you have kids who can never remember what they need to do, or whose turn it is to take out the trash? With the Chore Chart Blueprint, you can now make your chore chart more efficient and actually fun. It doesn't stop there however, you can create a skill for your babysitter, your pet sitter or even household guest. With over 20 templates in six categories, there is no limit to what you can do, and there are always new skills popping up all the time. We've been using it together as a family and it's truly brought us closer together. To hear a sample Blueprint, just ask, "Alexa, let’s try a Blueprint". Visit blueprints.amazon.com to get started. 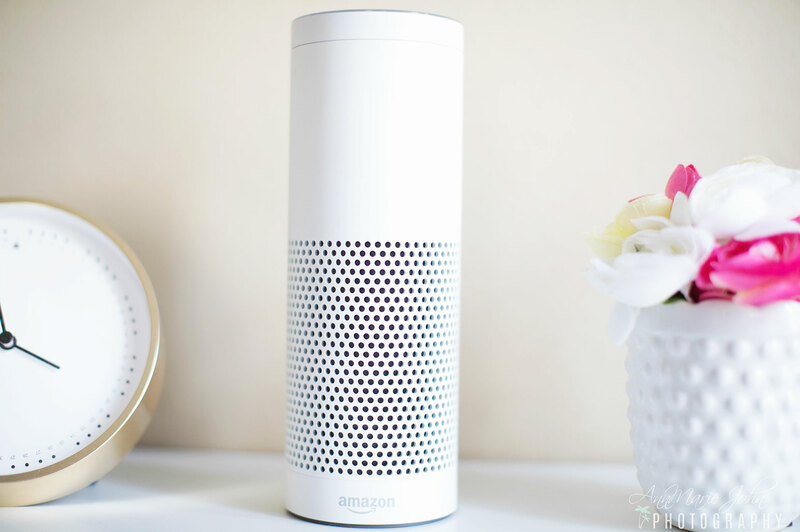 And be sure to return right here on Tuesday, where we'll be giving one lucky reader the chance to win their very own Amazon Echo, so you can get started on your own Blueprints! ahh, this is fun!! We have an Alexa in every room too! I was slow to love it but now I can't imagine life without it. And we LOVE the blueprints! So fun! We just LOVE Alexa. We ask her questions daily. I might have to do the chore chart! This blueprint sounds really interesting! Thanks for sharing this, dear! I've never thought to use Alexa for that purpose. Love Amazon and their products, thanks for sharing this wonderful idea! This sounds very interesting and useful. I have to admit that, although I love technology, we never truly embraced Echo. It was fun for about a week but after that, we didn't use it much. My three year old loves to ask questions. He ask so muythat at some point I almost lost my patience. I can definitely use Elexa's help. At least she has the patience. We have to buy one of this when we move to our home. I love to play quizzes and trivia even though I'm not very good at them. But I learn when I play, so that's good. It is so amazing how much Alexa can help with! I currently have one in my bedroom, but can't wait to add one in every room of my house! I never knew the difference between the echo & alexa until I read your post. We have always considered getting one, my parents have the alexa ane really like it! This sounds so cool! Thanks for sharing the different ways that you can use this!! I love that you can add these sort of things to Alexa now, it makes it such a great device that is not just for listening to music but for really helping around the home as well. I really enjoyed the video! It helped me understand what Alexa Blueprint is all about! I appreciate you sharing this. Truthfully, I didn’t know much about Alexa but now I’m intrigued! I’ve heard a lot of people swear by it. Omg this Alexa blue prints skill sounds so incredible. I keep how amazing and versatile all the features are that now I need to get an echo and try the blueprints for myself. I wasn't in favor of getting Alexa till I read this. It changed my view. I didn't know now much about alexa before but now i understand what the craze is about. Great video! I learned a lot about the Alexa Blueprint! I need to get my hands on that. What a great product! I don't have experience iwht the Alexa, but it sure looks awesome!